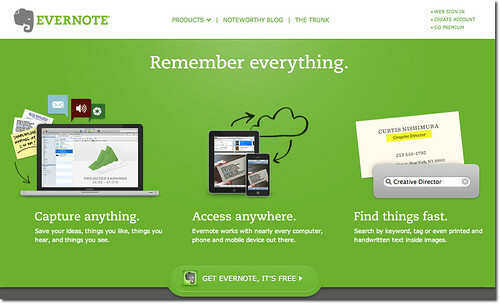 Is note-taking app Evernote in a “death spiral”? Photo by Leif Harboe on Flickr. A selection of 10 links for you. Get that ring of confidence. I’m @charlesarthur on Twitter. Observations and links welcome. The report is on the Parliament site, and doesn’t pull its punches. How do you regulate? Introduce anti-money laundering measures – basically, get people to explain where large amounts of arriving (fiat) money come from. Oops! Also: the health space is starting to get crowded. Notable: Senosis is a smartphone-based product. Does that mean Nest rolling into Android? Or what? That’s just one intriguing info-nugget from the US Government Accountability Office’s (GAO) report, Actions Taken by Equifax and Federal Agencies in Response to the 2017 Breach, dated August but publicly released this month. During that attack, hackers broke into the credit check agency’s systems, getting sight of highly personal information on roughly 150 million people in America plus 15 million Brits, and others. Computer security breaches are rarely examined in this much detail, however, several departments of the US government are Equifax customers, which meant the Feds wanted the GAO to convince them it’s not going to happen again. The cyber-break-in happened on May 13 when criminals started exploiting a vulnerability in the Apache Struts 2 framework running on Equifax’s online portal. The company didn’t clock it until July 29. However, the report confirmed that failing to patch this flaw earlier was not the only screw-up. Google’s big hardware event is coming October 9, and we’re getting a clearer picture of what to expect from the show as the days go by. The event is promoted as the “Pixel 3 launch event,” but the company’s previous two hardware events featured five or more product announcements. Besides the Pixel 3, a Pixelbook 2 is a good option, and with the launch of Google’s Smart Display software on third-party hardware earlier this year, it seems inevitable that we’ll soon see a first-party Google Smart Display. As luck would have it, today MySmartPrice has scored pictures of the “Google Home Hub,” a product that is clearly Google’s flagship hardware for its Smart Display software. The device has a 7-inch touchscreen and basically looks like a 16:9 tablet mounted to Google Home Max. Some of the pictures, which look like a leaked store listing, show a few more specs: 802.11ac Wi-Fi at 2.4 and 5GHz, Bluetooth, an “Ambient light and color sensor,” a “full-range speaker for crystal clear sound,” and “far-field voice recognition.” The listing shows the display available in two colors (“chalk” and “charcoal”), with Google’s traditional mute switch on the back and what looks to be a video chat camera on the front. How is a device like this any different from a mounted tablet with a good speaker? Those efforts seemed to pay off Monday, after Trump unveiled tariffs on roughly $200 billion in goods imported from China, the latest salvo in the trade war Washington is waging against Beijing. The initial list of imports the White House had threatened to penalize included some of Apple’s best-known products, the company said earlier this month, such as its recently updated Apple Watch smartwatch, HomePod home assistant and AirPods wireless headphones (but not the iPhone). On Monday evening, though, those products were spared. Thousands of other imports weren’t so lucky, and Americans could soon be paying more for such things as refrigerators and toys. In another brazen attack against a major online retailer, the actors behind Magecart have struck the eCommerce operations of the popular computer hardware and electronics retailer Newegg. With this latest attack, newegg.com joins the ranks of high-profile eCommerce websites that have fallen victim to the financial theft group. Based on findings recently published by RiskIQ, Magecart was identified as being responsible for a recently publicized breach claiming upwards of 380,000 victims that had used the British Airways website or mobile application. As it turns out, a nearly identical data theft campaign was being carried out against Newegg at the same time. In fact, it appears the Newegg compromise may have started nearly a week earlier. I’m not sure I would call it “brazen” – it’s very subtle. “Neweggstats.com” was created on 13 August and the siphoning of data began three days later. These guys are very organised and very dangerous. The script was running on the site for a month; that’s a lot of lost data. “What if phones, but too much.” Daniel Ortberg’s six-word description of Black Mirror ended up reflexively inspiring “Playtest”, an episode in the programme’s third season. That joke could also have been the entire pitch for Channel 4’s latest reality TV show dolled up in the clothes of a social experiment, The Circle, in which a collection of the usual reality TV stereotypes are placed in apartments and encouraged to catfish their fellow contestants in the hope of winning £50,000. The first episode, which went out last night, introduced us to the cast, which includes a digital marketer pretending to be an oncologist (“They didn’t even question it!” she crowed in delight) and a gay man pretending to be an odious straight lad, with a recently deceased dog (he also delighted when the others fell for this ruse). The Circle’s hook is that unlike its reality TV antecedents, such as Big Brother, which is shivering its way to an overdue demise with a final series on Channel 5, face-to-face conflict isn’t on the menu. Instead, the participants are each sequestered in their own apartment and forced to communicate via a bespoke social network that comes off like the unholy love child of LinkedIn, Twitter and Instagram with an unpalatable pinch of Tinder thrown in. The conclusion of episode one ended with a particularly uncomfortable date conducted via private message between a barman from Norwich and what he thought was a pretty young woman, but was in fact another young guy using his girlfriend’s pictures to aid him in the quest for the cash. Circles within circles: this sounds like the basic outline for a Black Mirror episode. No wonder Charlie Brooker is finding new episodes increasingly challenging to write: we’ve gone beyond navel-gazing to ourobouros to some place of infinitely reflecting mirrors. The pacing is deathly slow, as contestants dictate their messages to the Circle (which we’re led to believe is voice-activated but is patently the work of put-upon researchers hunched over keyboards) and read out replies. All this as the moral is tediously repeated: You never know who you’re talking to online. The government estimates that the trio have already collectively logged more than 1,000 hours of assistance, the equivalent of half a year of full-time employment. So that’s positive, sort of. More details at the US Justice Department site. It’s no secret that Evernote, the productivity app that lets people take notes and organize other files from their working and non-work life, has been trying to regain its former footing as one of the most popular apps in the U.S., and that doing so has been an ongoing struggle. Just two weeks ago, we reported that Evernote had lost several of its most senior executives, including its CTO Anirban Kundu, CFO Vincent Toolan, CPO Erik Wrobel and head of HR Michelle Wagner. Now, Chris O’Neill — who took over as CEO of Evernote in 2015 after running the business operations at the Google X research unit — is sharing more demoralizing news with employees. To wit, he’s firing dozens of them. At an an all-hands meeting earlier today, he told gathered staffers that Evernote has no choice but to lay off 54 people — roughly 15% of the company’s workforce — and to focus its efforts instead around specific functions, including product development and engineering. …a person who tipped TechCrunch off to the executive departures two weeks ago characterized Evernote as “in a death spiral,” saying that user growth and active users have been flat for the last six years and that the company’s enterprise product offering hasn’t caught on. Also facing a funding crunch. The CEO letter says it serves “over 225 million people around the world” who have more than 9bn notes (that’s an average of 40 each, though I bet there’s a lot of 1-note tryouts there). O’Neill has a rather vague blogpost subsequent to this rather more detailed story. People have weird little boxes in their brains and they assign devices to them. My sister has been using a Kindle + small smartphone for years, while I was parading and loudly advertising my ridiculously large phone on which I mostly read stuff. Suddenly last month, she went “But, I could read my books on my phone, if it were larger ?”. I’m guessing the screenspeaker is there to fill the smartspeaker box with something better because it also has a screen. I agree it’s probably better, except it doesn’t put people into “ears only” mode, they might end up tabletting on them. Also, techies wildly overestimate users’ awareness of features. My biggest hit this summer was showing people there is an assistant they can talk to in their phones and tablets, and that they can dictate instead of typing too. And that cut across premium/basic, young/old, and Android/iOS lines. Maybe one laptop per child was kinda right, only it’s one feature per device.